As summer came to a close, I got back into the swing of things--crafting (and sharing! ), the school routine, appointments, and fall tee ball. I was approached about a few guest spots on different creative teams and in addition to needing to keep track of all of those things, the holidays are approaching and planning ahead for those is a must. I adore my Papertrey Ink Moments Inked Binder planner and there is a multitude of convenient things about it. Unfortunately, I lack a large workspace to keep it out in the open at my desk so I generally use it on the go or keep it in the kitchen. That said, I've been feeling lately that I need to use something in tandem with it--something with a bit more space to write and something I can keep on my work desk at all times. 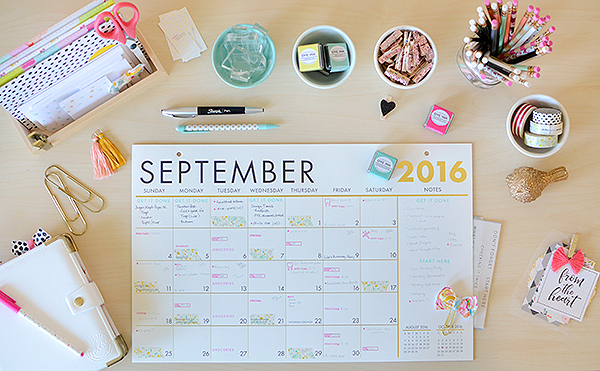 Enter this blotter-sized desk calendar. I purchased it from Paper Source at the end of 2015 but have only just begun to utilize it (they have a 2016-2017 version, as well). 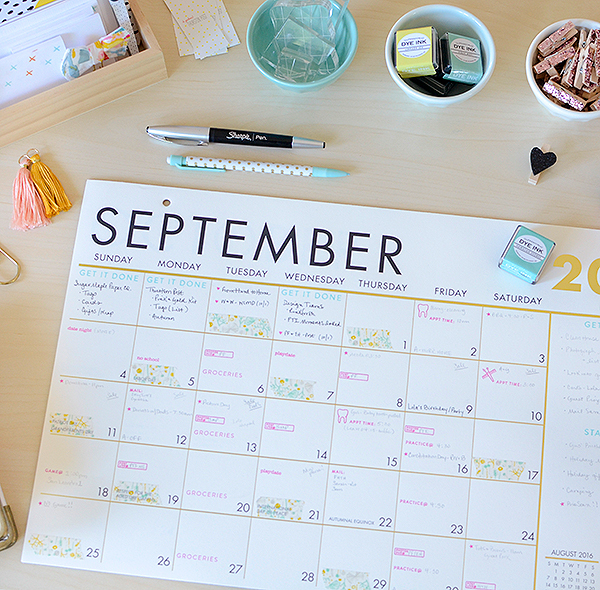 Once I came up with a plan to keep it on my desk (under my big crafty mess) I put my MI planner stamps to work. I keep track of appointments, DT work, special plans, the tee ball schedule, and even grocery shopping. I used only two ink colors in order to simplify the process, but I chose bright shades--Raspberry Fizz and Hawaiian Shores--because they immediately stand out. In addition to plan-making in the date squares, I use the empty squares for keeping track of major projects that I need to be working on for the month. "GET IT DONE" from the Posted II stamp set is just what I needed to fit the space and remind me that a deadline is looming. 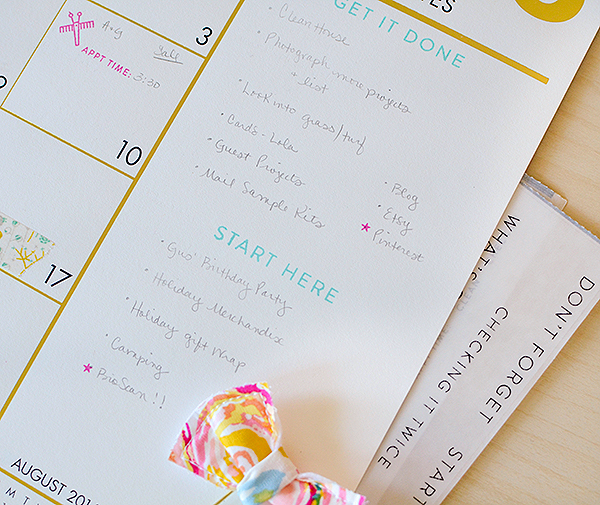 I use the tiny heart and star from "Planner Banners" to indicate plans or events, generally fun things. 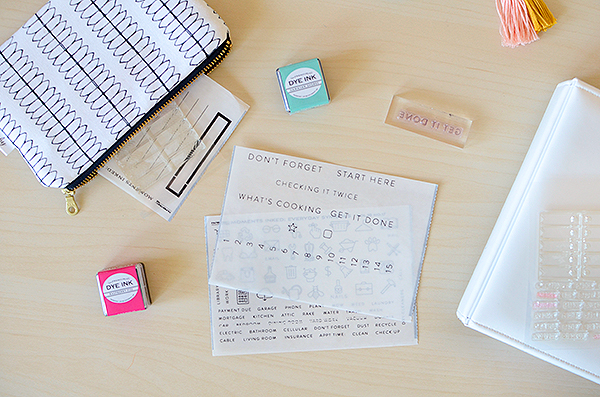 The "Blog Banners" set has great stamps for project due dates so I use them here whenever I have a work deadline. The "Everyday Symbols" set, which I use often on a calendar similar to this that I made for my son, is just as useful here--especially since we had 2 dentist appointments and 2 hair appointments this month. There are so many useful words and icons throughout the entire Moments Inked stamp repertoire that I can almost always find what I need. This approach has kept me on track for the last month and a half and I'm already working on October's schedule. When I leave the house, my binder planner goes with me, but when I'm deep into a project--embellishments, stamps, and papers strewn about all over my small workspace--I love having this underneath it all. I simply push the bits aside to check dates--and the inks I use pop right out and make it a snap to maintain a hectic schedule. 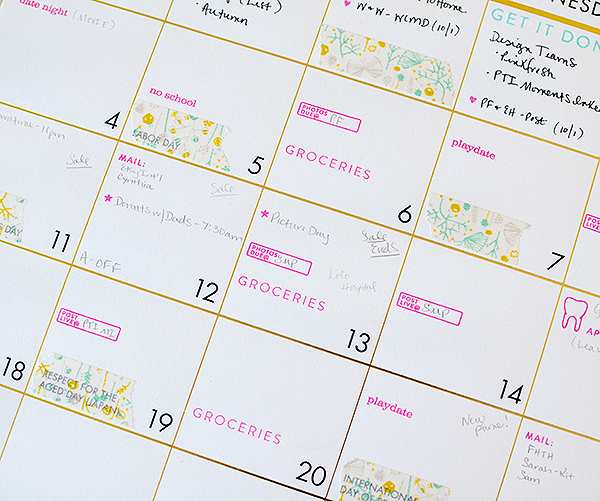 Planning doesn't have to be relegated to your planner, but whatever your medium, Moments Inked stamps have you covered! 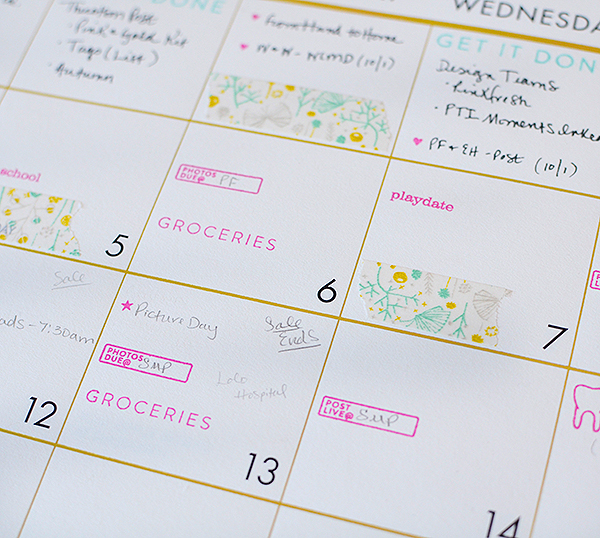 The entire line of Moments Inked Planner System products can be found here. Very useful idea! So great to have the dates in black ink!!!! 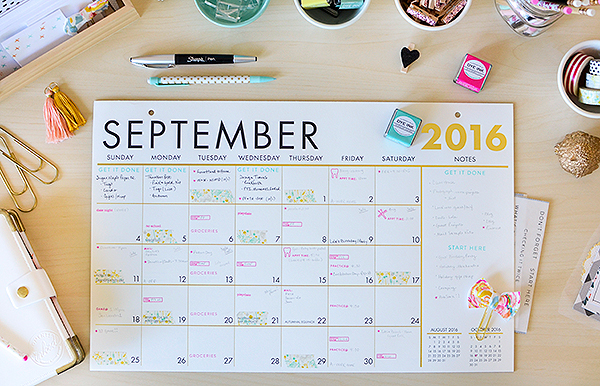 (that is my problem with my planner...I can't see the dates that are in sweet blush and aqua mist). 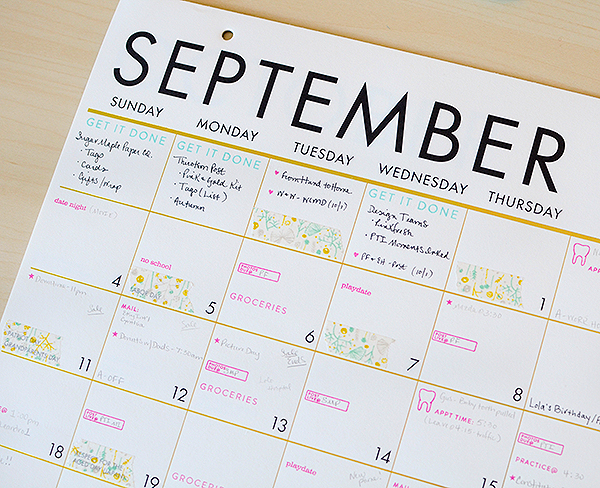 A giant calendar sheet makes so much sense! The notes section would be very useful, too.